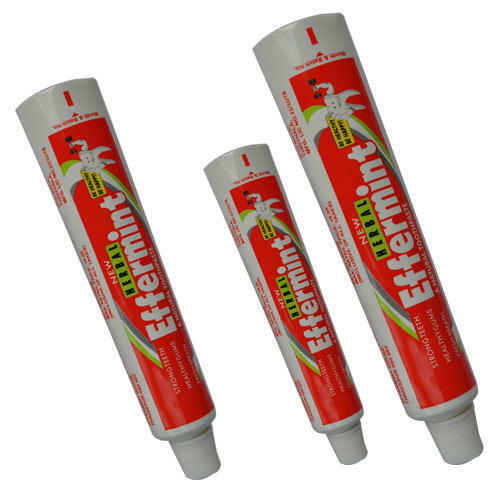 Our product range includes a wide range of toothpaste tubes. We are renowned manufacturer, supplier and exporter of Toothpaste Tubes that are highly demanded by oral care and pharmaceutical industries. These tubes are made from quality-approved raw material ensuring great quality at user's end. Our offered products are highly reliable as they are manufactured under the guidance of skilled professionals. These tubes are strictly checked for quality at various level of production. Customers can facilitate the facility of customization as per their given specifications.